Ryan was born and raised in Beckley, West Virginia. From there, he attended West Virginia University in Morgantown, West Virginia on a Promise Scholarship, earning a Bachelor of Arts degree. He received his Juris Doctorate from the Appalachian School of Law in Grundy, Virginia. While in law school, Ryan served as an Associate Editor and Senior Student Notes and Comments Editor for the Appalachian Natural Resources Law Journal, he was a member of the national moot court team taking best preliminary round advocate at the Pace National Environmental Moot Court Competition, and served as a teaching assistant for appellate advocacy. Ryan was a member of Phi Delta Phi, a legal honor society, and served as a assistant high school soccer and wrestling coach. Ryan further served as a judicial extern for the Honorable Thomas E. Johnston, United States District Court for the Southern Distirct of West Virginia. Litigation is the primary focus of Ryan's practice, from employment matters, including OSHA violations and Title VII, to civil rights, and general insurance defense. Ryan has litigated several officer-involved shootings along with wrongful death claims from trucking accidents and construction defect claims. He also has significant experience in appellate advocacy before both state and federal appellate courts. 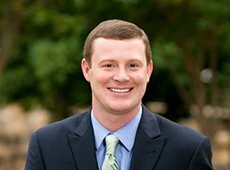 Ryan is a member of the North Carolina Bar Association, the West Virginia Bar Association, and the North Carolina Association of Defense Attorneys where he serves as the social chair for the young lawyers committee. He is also an adjunct professor at Gaston College where he teaches civil liability. Ryan resides in Charlotte with his girlfriend Sarah, who is also an attorney. When not discussing legal minutiae, they enjoy attending sporting events around Charlotte, cheering on the West Virginia Mountaineers, and traveling to new and exciting places.